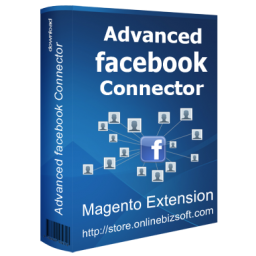 The Facebook Connector extension help Magento store connect and promote to millions Facebook users quickly and easily. The extension also make your store become popularity via Facebook Wall integration, a personal recommendation automatically posted to friend's Wall for each purchase or action on Magento store. With Facebook Connector Integration Magento Extension, Magento store accept visitors to sign up using their Facebook account. 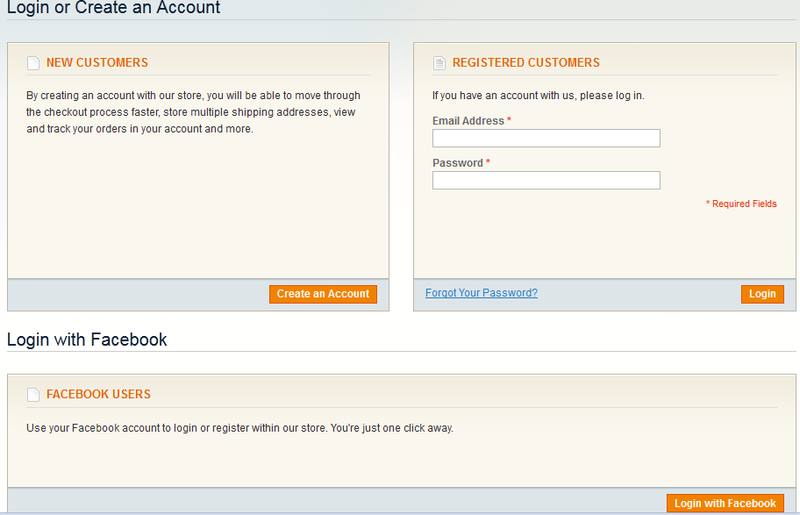 Customers will keep stay on your Magento store longer and easily access to member section. Customers are more willing to create account and connect to their Facebook account. 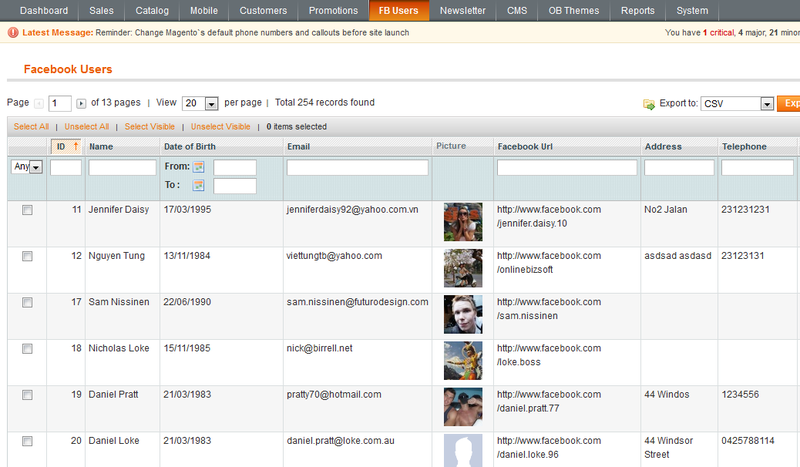 The Facebook Magento Extension do more than login integration. It also help to promote your store in friendly and nice way each customer do an action on your store. 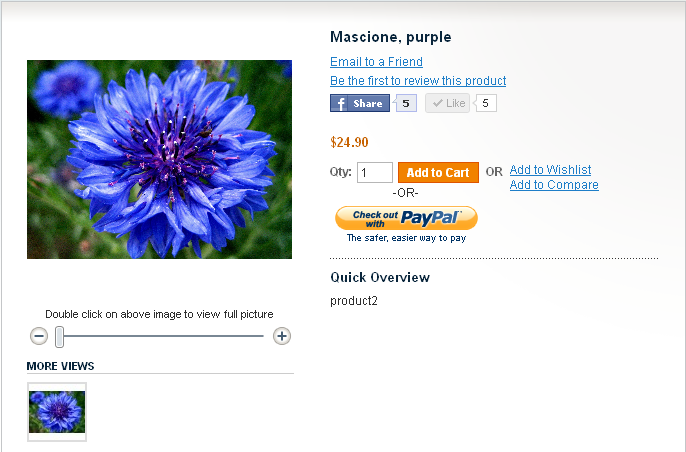 For example, when each purchase is made, a short message will be posted to Customer's Wall or Customer's Friend's Wall with your product information and a link to your website. This mean more sales and more money for your business. I am very new with magento but with kind and quick response of the support team, the extension works very nice as described. I am recommend this extension because it works and great support team! 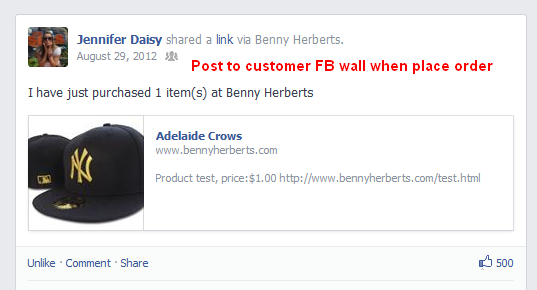 This extension is the easiest way to integrate Facebook Login to your online store.It allows users to post the details of their purchase back to their facebook wall allowing your products and site to be marketed to all of their friends!!! We're using this extension mainly for Facebook Login. As anticipated, we had issues with the installation due to our custom theme. However the support was quick & it got resolved quick. This extension really helps making it easier for customers to log in through facebook account and keep being logged in. Facebook Connect is working great for us... since just about everyone is on Facebook, and most people trust the Facebook Connect concept, so we get a lot of free advertising just from them logging in to our site to purchase. Highly recommended. Great and useful extension for our store. Just 5 minute installing and configuration and now our customer can login with one click! Thank OnlineBiz. 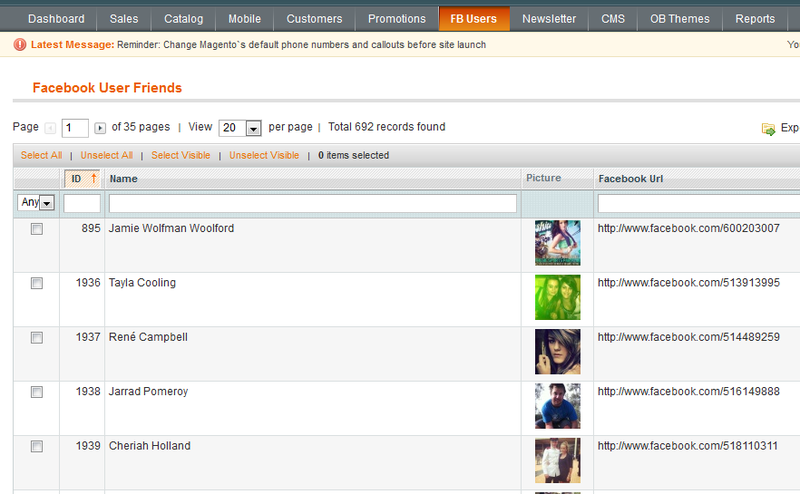 Great module with all possible social networks features already integrated. We had a problem with our pre intergrated facebook like button but just within a few minutes we got support and problem solved! It works like a charm.